May it be a surprising title – Loafer’s LED Wick! Let it be, the article is nothing but the design idea of a little LED light based on Joule-Thief concept. It’s true that by a bit of googling you can see an avalanche of the said Joule-Thief circuits, hope that fits but a moment here I’m introducing a less-known yet easy to follow approach. Let me in for a small wonder of electronics! A Quick Build: The circuit diagram shown below is an shameless duplication of the proven Joule-Thief idea, but you can see a small transformer as the key part of the design. Actually it’s a lazy man’s (it’s me) alternative of the crucial transformer/coils found in most Joule-Thief circuits, done here purposely to make the whole construction a piece of cupcake. My Crosscut: In principle Joule-Thief is merely a “blocking oscillator” circuit based on a small transformer or a centre-tapped coil. This always calls for making our own transformer/coil by winding suitable magnet wires around a small ferrite/toroid core. However, instead of building a custom part we can try a “line-filter” or “common-mode choke” usually found in almost all smps circuit boards. 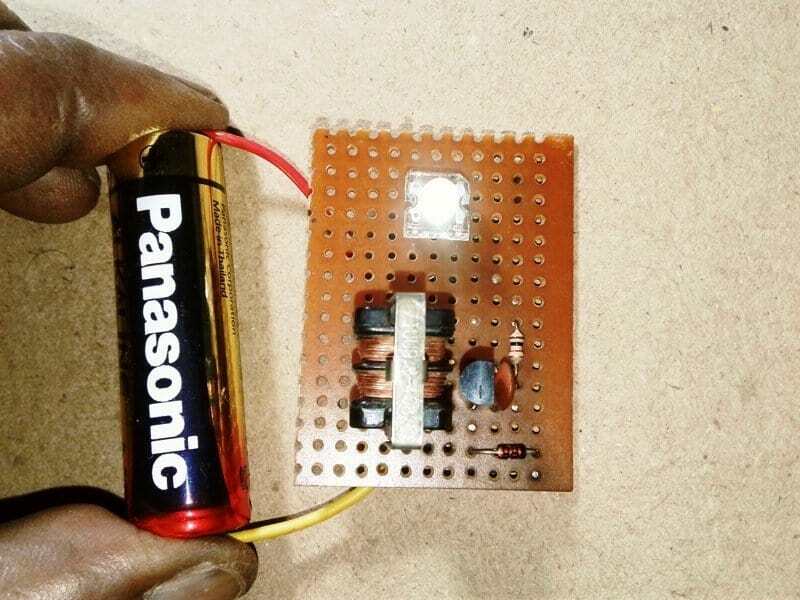 All we needed is just lift one such part from a defunct power supply circuit board and use it as shown in the above schematic. The Final Touch: The simple blocking oscillator circuit will step up voltage (from a dc input of 700 mill volt) using properties of coil inductance. 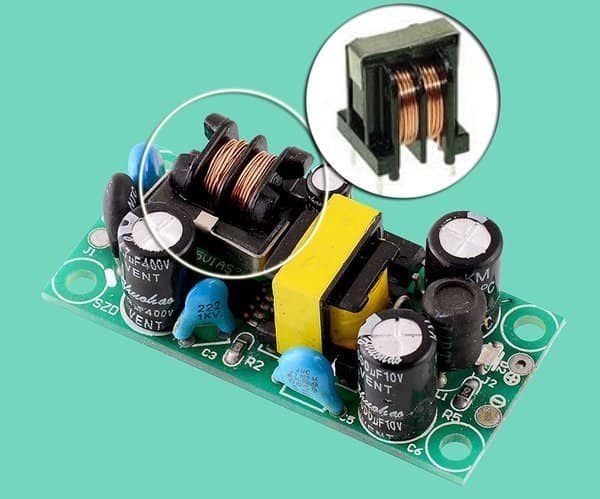 Since there’s no output regulation, the output voltage will vary with the applied input voltage (and/or connected output load). 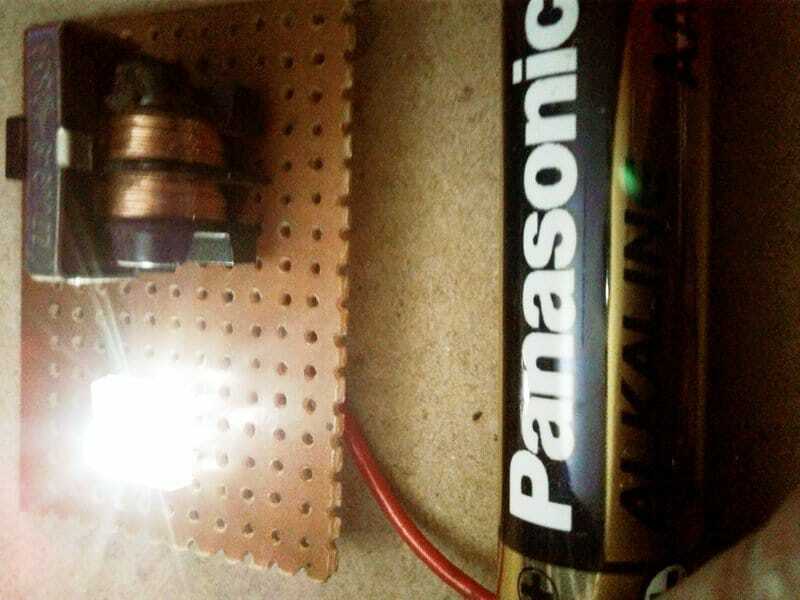 The circuit will boost the input voltage from a single 1.5V dry cell high enough to fire up new ultra bright red, blue, green, amber, and white LEDs. As you might observed, in the circuit the LED is placed across the pulsed output. Anyway, the output pulses can be smoothed using a rectifier diode and filter capacitor, and voltage-doublers can be used as well. I’d tried the former with a 1N4148 diode (rectifier) and 100nF capacitor (buffer/filter) while I was driving a white Piranha LED (see my prototype)!